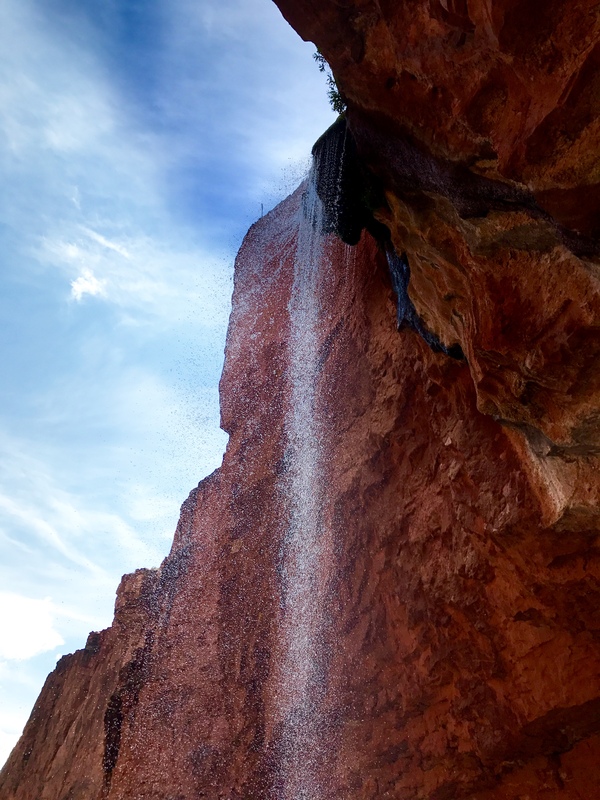 Chimik’yana’kya Deya’ is the Zuni pronunciation for Ribbon Falls, a beautiful waterfall found six miles heading north along Bright Angel Creek in the Grand Canyon. 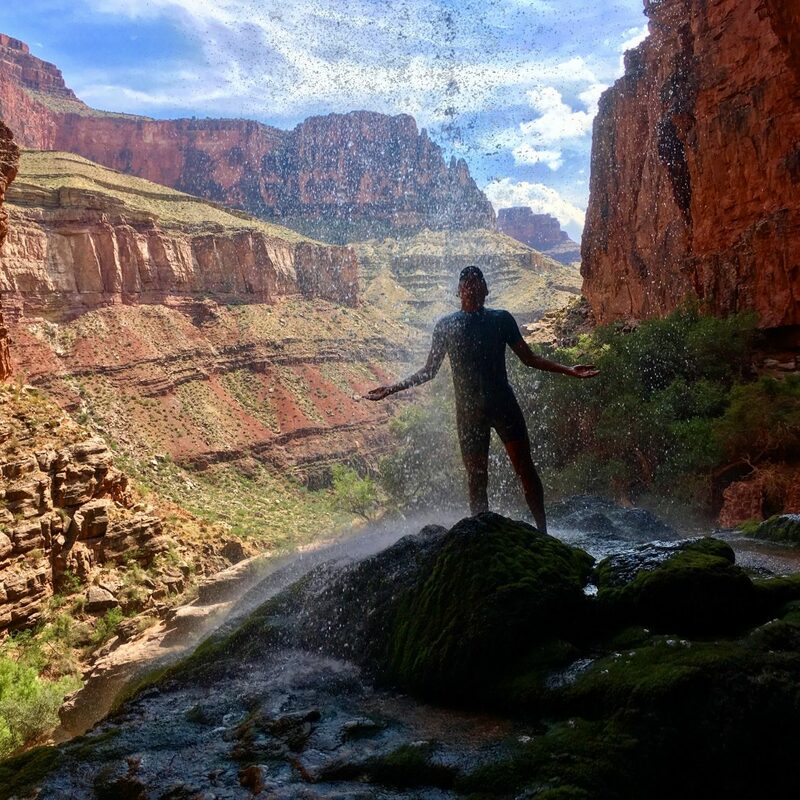 Hiking to the waterfall is an all day journey that can be planned as part of a larger multi-day adventure in the Grand Canyon. 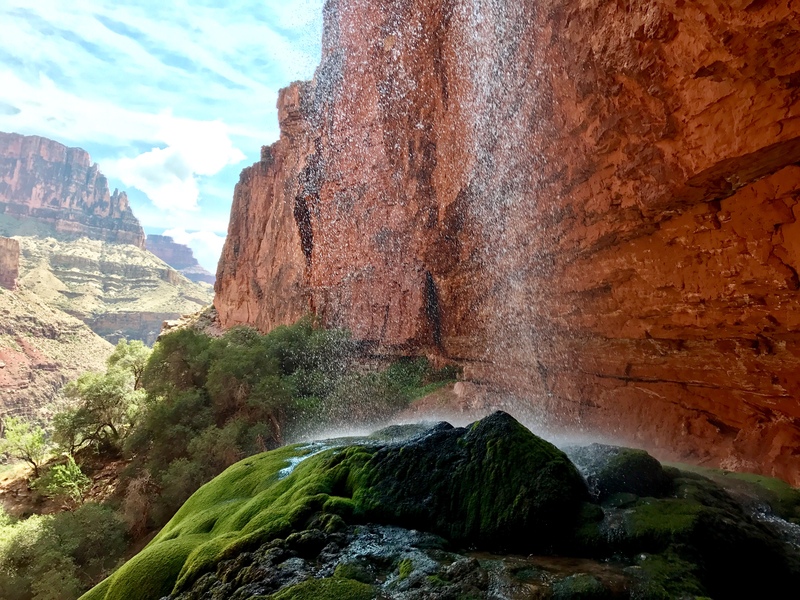 Runners and hikers in the Canyon usually take the short detour to the waterfall, for obvious reasons, to cool off from the radiating heat and to bask in it’s beauty. Once at the waterfall, there is shade and pools to enjoy being in near the waterfall. The water is mineral rich, which forms a giant travertine platform down below the 100-foot waterfall. Ribbons Falls is also a sacred site for one of the local Native American tribes in the area. The Zuni people consider Chimik’yana’kya Deya’ (Ribbon Falls) their place of emergence into the world. 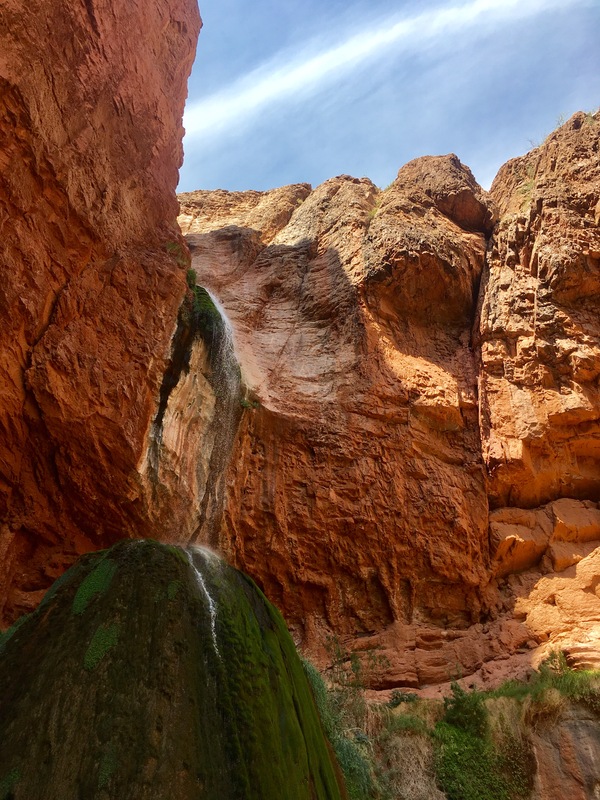 In their creation story, the Zuni people the first beings emerged from the Earth to become people of the upper world at Ribbon Falls. Once the people left the waterfall, they left behind glyphic and structural signs that Zuni still recognize. They can see them in the canyon and elsewhere across the Southwest. Zuni historians have traced ancient splits and dispersals after their departure from the Grand Canyon to seek their home place. Hiking to Ribbon Falls from the South Rim is around 12 miles one way, venturing down either the Bright Angel Trail or South Kaibab Trail. 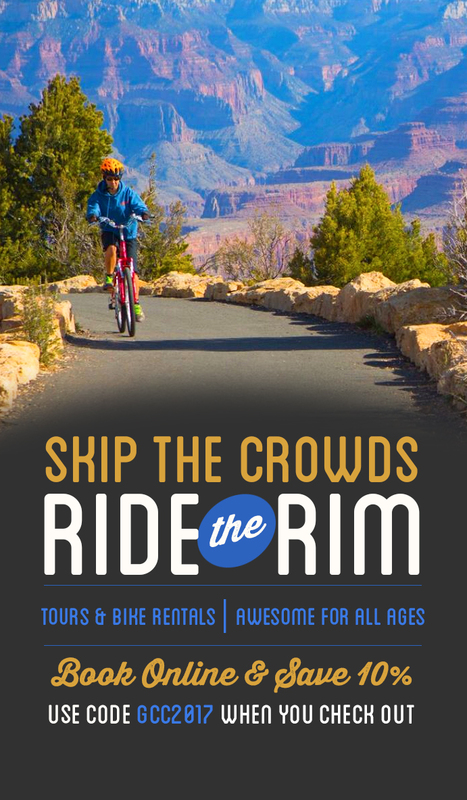 Travel through Phantom Ranch and make your way towards the North Rim on the North Kaibab Trail. The trails are well maintained, just be alert of wildlife and the mule trains passing by. I do not recommend hiking directly to the waterfall in one day. This trip can be planned by camping at Phantom Ranch one night, hiking to the waterfall the next day, and hiking out on the following day. Hiking back out from Ribbons Falls to the South Rim round trip, will be around 24 miles in total. Remember, you’ll need permits to do overnight camping. You can get these at the Grand Canyon Backcountry Permit website. Hiking from the North Rim to Ribbon Falls is 8-9 miles. 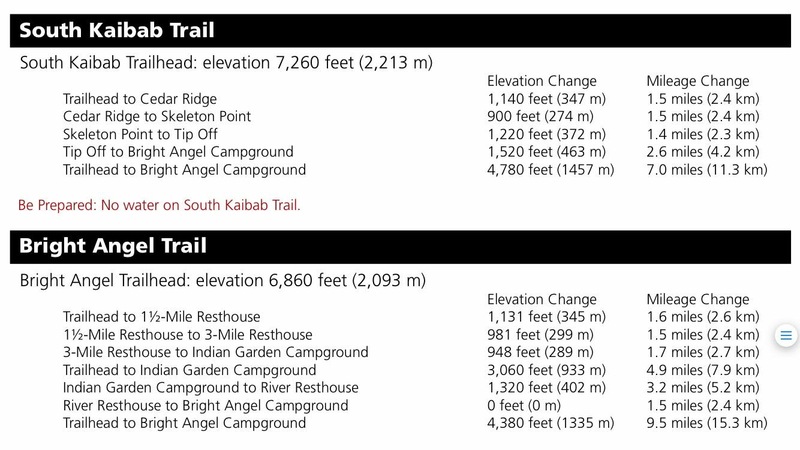 A round trip will be somewhere between 17-18 miles with intense elevation gain/ loss. Elevation is above 8000 feet on the North Rim, so take into account getting use to the elevation before hiking into the canyon. There are water stations available along the trail, including several water pools in Bright Angel Creek to cool off in. Remember to hike smart, have the proper hiking/ running gear to stay comfortable, bring salty and sugary foods, electrolyte tablets, plenty of water, sunscreen, and whatever will help you accomplish this journey. Please, please, please…research the latest information on the weather, water stations, accidents, and conditions of the trails before going into the canyon. Attached is a link to the Grand Canyon NPS webpage on latest updates. Enjoy! Hi, John! Yet another great article I really enjoyed reading! The waterfall looks breathtaking. With a legend following it, it gets a mystery coat around it that is really motivational for going there. You provided some great tips, so I hope more people will be inspired to go on this adventure. I was wondering, how difficult this trail is, in your opinion?